For our West Africa expedition we chose Honda Africa Twins – awesome bikes, genuinely comfortable and immensely capable, but also physically immense and heavy. Like planets are heavy. This made them hard work where the going was tough, and this in turn shaped the trip to an extent. We did improve in our handling of the bikes on poor roads as the trip progressed but generally we stuck to paved roads or good dirt roads where possible, where the big Hondas were in their element. If you’ve never lolloped along a fast open dirt road on a big-bore über-trailie, you really should try it – it’s a lot of fun. For this trip however, we wanted to try something new – partly for the new challenge of using smaller lighter bikes and partly for the more challenging terrain we’d be able to tackle on them. Whilst they won’t be as comfortable or capable on the blacktop, we should reap the benefits in the gnarly bits – and the character of the trip will be quite different as a result. 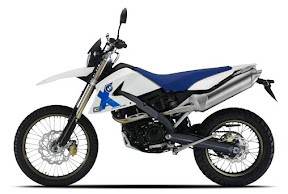 Early contenders were the KTM 690 Enduro and BMW G650 X-Challenge, and whilst Ed commuted on an XT660R for a while he never really fell for it. 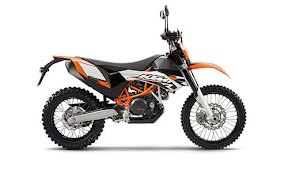 The KTM was deemed a great bike but perhaps a bit fragile, and the X-Challenge would have made a great choice if a) they still made them, or b) they’d ever sold any of them. As it was, finding one for sale was proving to be far more of a Challenge than the Bavarian exec responsible for the name had ever imagined. 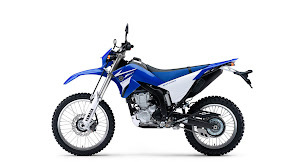 Ed was first to select a bike for the trip, setting the bar high by selecting the Yamaha WR250R – a very modern and beautifully miniaturised machine launched new in 2008. Fuel injected and aluminium-framed, the WR is a great example of what a modern trail bike should look like. And if you’re going for small bikes, you might as well do it properly. Dan liked the modernity of the WR, but was drawn to the easier availability of special parts for the more established Suzuki DR-Z 400 range. 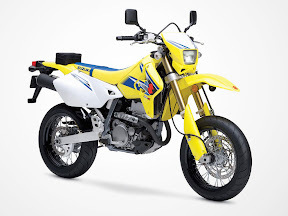 By contrast, the DR-Z was launched over a decade ago and was developed from the DR350 of the middle ages. It is heavier and a bit more dated, but has earned a great reputation for reliability and hence as a lightweight travel bike. Let’s be clear – it’s perfectly possible to pick any bike you like and take it travelling, modified or bog stock standard. It’ll just be easier or more fun on various sorts of roads depending on what you choose to ride and what you choose to do to it first. It just so happens that there’s a bit of specials builder in both of us, so neither bike has remained standard. Click on a link below for the mod-fest geek out. I am riding my KLx 250 to mongolia in August 2013, straight across to Ukraine Russia Mongolia – then back the long way, via turkey . I am traveling solo … any advice would be appreciated. Read this blog. 250 is great and you’ll appreciate being able to lift the bike on your own if you venture far from the Tarmac. 250 is plenty and you can easily lift it if you drop it offroad! The FI is legendary.